BREAKING NEWS: On the forum SFFWorld, there’s an on-going debate on climate fiction where Clara Hume intervenes as Guest Host, using her real name, Mary Woodbury, along with two more Guest Hosts, Brian Burt, author of the Aquarius Rising trilogy and myself under my pen name Claude Nougat. To see or join this stimulating debate, click here now! Climate change usually inspires the direst of dystopian fiction: end-of-the-world situations, cities under water, people desperately seeking safety and fighting for survival while children and the elderly are the first to die…With Clara Hume’sBack to the Garden, you get that but you also get much more and something that is very different. You get a breath of fresh air, a glimpse of hope even though in that book, as in all other climate fiction novels I’ve ever read, the world is overheated and overrun with lawless gangs as society as we know it has collapsed. What this book tells us is: maybe mankind can survive after all…but at what price! Back to the Garden is like going back to square one, the start of civilization. All technological advances are lost, there is no electricity and little fuel left. This is a world of growing scarcities. But is that “garden”, the one in the book, a new, revised garden of Eden? Maybe it is, and that is a comforting thought: what we have here is dystopia with a smile. And that’s what makes Back to the Garden very different and really worth reading. This is the story of a trip across a devastated, post-apocalyptic America told from multiple points of view, one for each traveler, and each one is an engaging character. We soon find ourselves liking them, feeling their pains, their hopes, their loves. This is a very human tale, some die and we cry, others live on in spite of dreadful obstacles, and they all finally get “back to the garden” – but I stop here, I don’t want to give away the story and ruin the suspense, I will not tell you about this garden, pick up the book and find out! One commentator on Amazon (see here), made the interesting comparison with Steinbeck’s Grapes of Wrath, noting that while Steinbeck depicted a cross-country trek of people driven from home by the Great Depression, Clara Hume’s characters are driven by Climate Change. The comparison is apt, although the story is in fact very different (as are the characters). But we are indeed at a literary level, this is a beautifully written novel. 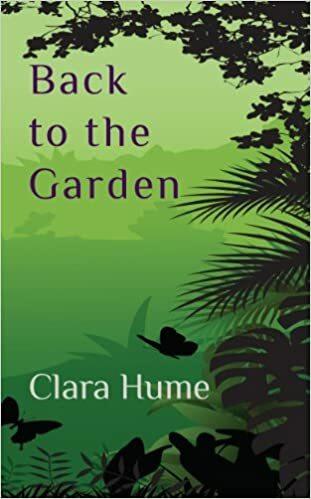 The author (Clara Hume is a pen name) is a young woman deeply committed to fighting climate change and preserving our environment for future generations. She maintains a vibrant website Eco-Fiction that acts as a hub for a community of people eager to debate environmental themes, including climate change, in both literature and the arts.